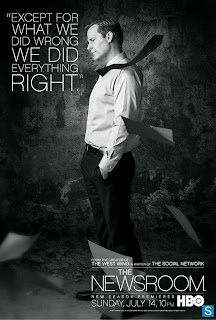 The second episode of The Newsroom's second season ''The Genoa Tip'' forwarded all the story lines set up in the premiere. We already know where things will end up, but seeing the events unfold with that mind was fascinating to watch. From the looks of things the past will catch up with the shows 'present' before the end of the season, which will leave some time to deal with the fall out from the depositions. With everything falling apart so clearly because of what happened in last seasons finale and the things that are happening right now in the flashbacks, I'm hopeful the final episode(s) of this season will deal with putting the team back together. Obviously that is all in the future, so let's get to this weeks episode! Maggie Jordan (played by Alison Pill), after Don Keefer (played by Thomas Sadoski) broke up with her last week, starts her descent into darkness. Being unable to sleep in her own bed, she ends up sleeping in Sloan Sabbith's (played by Olivia Munn) office. Which was pretty bad already. After losing both Don and Jim Harper (played by John Gallagher Jr.), Maggie attempts to save her friendship with her old roommate Lisa Lambert (played by Kelen Coleman). She goes on a mission to take down the YouTube video and Sloan insists that she comes along. After some techno babble which I didn't find entirely believable they track down the woman who posted the video to a laundromat in Queens. It led to a stand off, off sorts, which I found hilarious and it was hard to discern who was the craziest of the three. Now Maggie has lost everyone she cared about and she desperately wants to be somewhere else. Feeling useless, she turns her attention towards a story in Africa, which MacKenzie McHale (played by Emily Mortimer) allows her to go on alongside Gary Cooper (played by Chris Chalk). Maggie's so desperate to go away she even has Gary conceal the latest wire report about violence in the region. Of course knowing where Maggie will end up, things will take a horrific turn soon after she reaches Africa. Coming back to Jim for a moment, there was little movement on his end, but he was finally allowed on the Romney campaign bus. His rivalry/romance with Hallie Shea (played by Grace Gummer) will be fun to watch unfold. Hopefully the campaign story will pick up some more steam as Romney gets more popular. The build up to Jim ignoring Maggie's phone call was excellent and will send them both moving away from each other. Yeah, that was basically me as well. Thanks Maggie! This episode also featured a lot of Will McAvoy (played by Jeff Daniels) who was still hurting over the backlash calling the Tea Party the American Taliban has caused him. When you actively go looking for people who hate you, that's never good. Will was showing a lot of doubt about himself, even backing away when Don approached him about Troy Davis. I appreciated the points that both men made on the case and the Will from season 1 might have gone on the air with it. But this Will, who goes out of his way to not offend anyone, doesn't. Even though he felt he should as he says to Don. Probably it was also why he backed away from the drone strike story. Poor Neal Sampat (played by Dev Patel) who was in the thick of it when Occupy Wallstreet caught on fire and subsequently got arrested. It allowed for Will to rise from the ashes as he went on a rant against the officer on duty. A lot of legal terms later and Neal's arrest was voided. You can already see here how Will becomes the teams lawyer later on during the depositions. Another thing worth mentioning is how Will got started back in 2001 during the 9/11 attacks and his friendship with Charlie Skinner (played by Sam Waterston) started. The callback to Will protecting his mother and siblings from his father was a nice callback to the season 1 episode ''Bullies''. 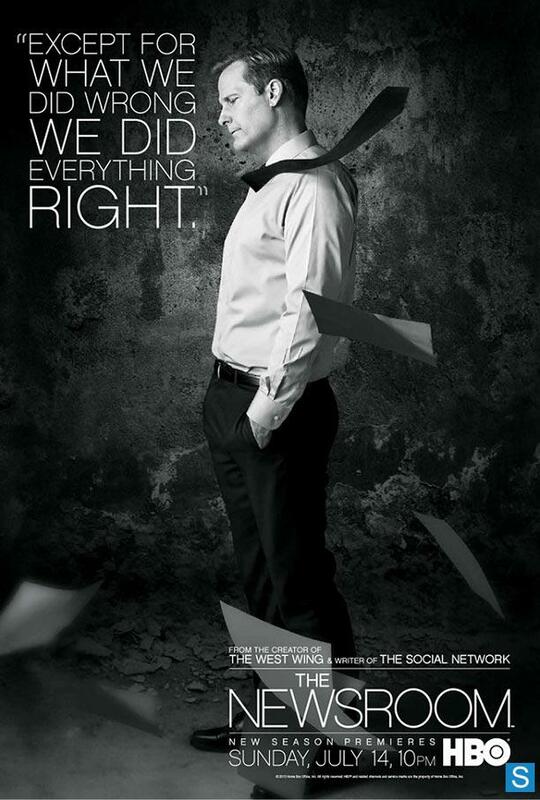 An excellent episode which delved into the rich characters that occupy The Newsroom!